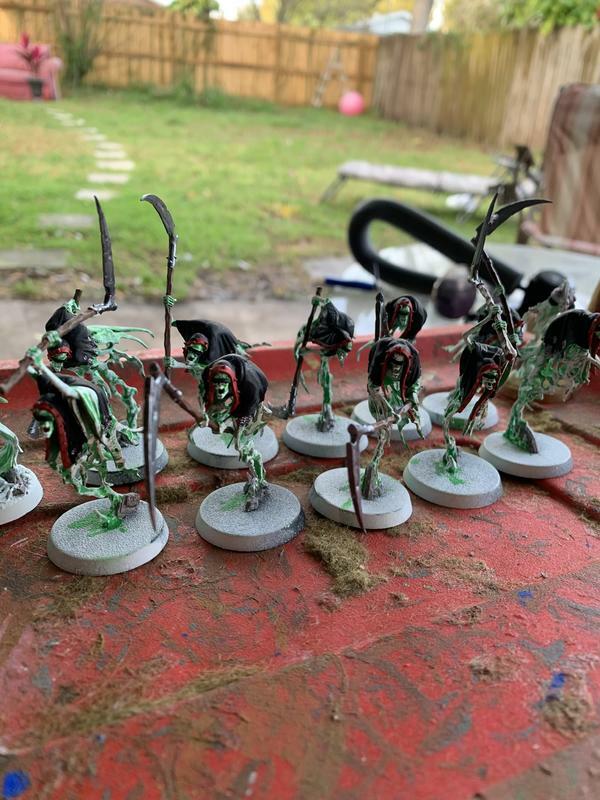 I think these grim ghost reapers have to be the fastest from sprue to paint that I have ever done. We got them last Thursday and now they are perhaps 3 more steps to completion. 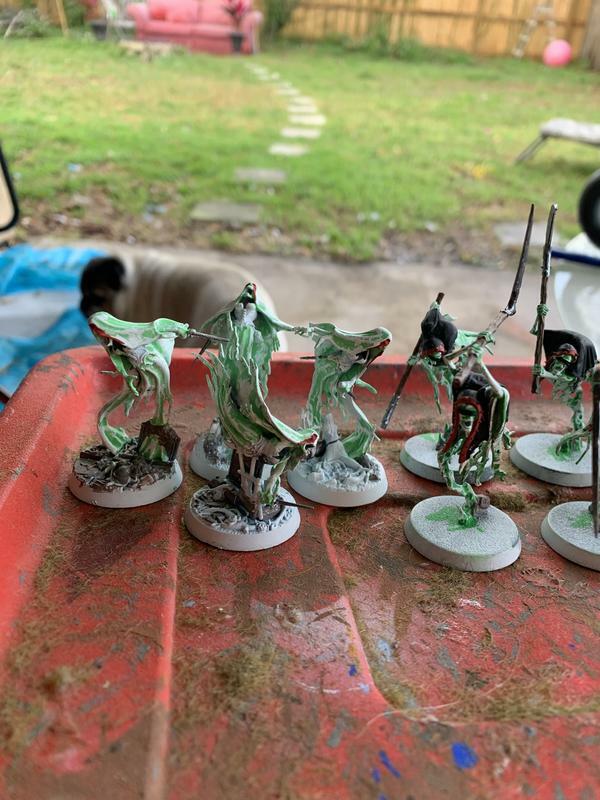 I threw in the Banshees in with them for the sake of it. 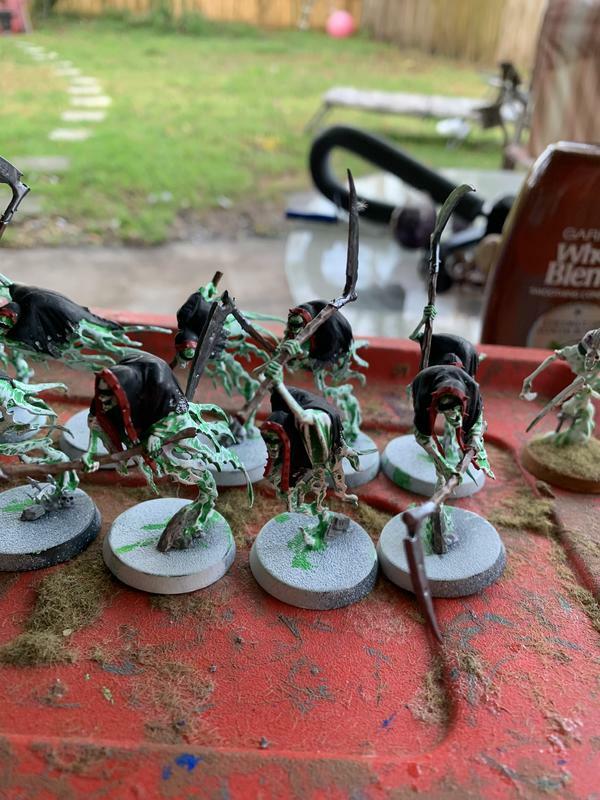 I love the way the dry brushing looks on Nighthaunt models and makes it so much easier than picking out the lines with a small brush. I have so many large brushes that I can sacrifice as many as needed unto the alter of progress. I order Soul Wars and it should get here at the end of the week. 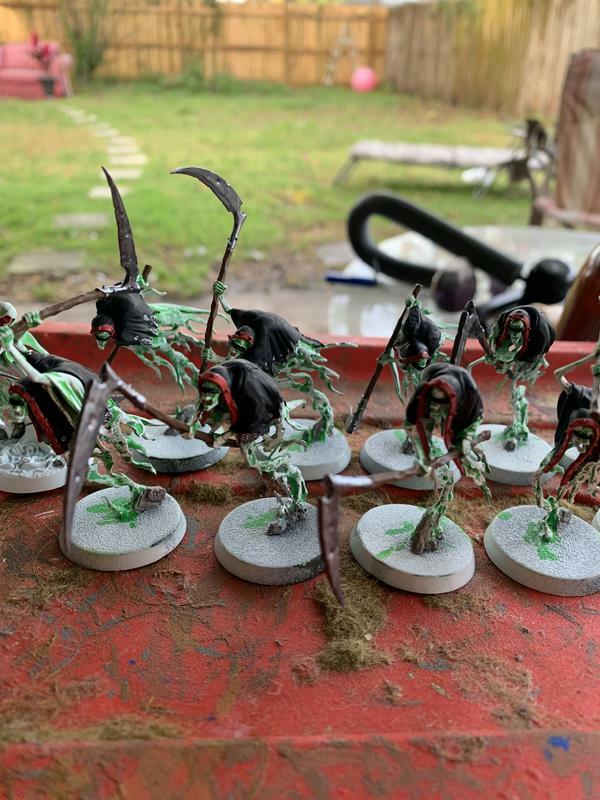 I’m really stoked to see this Nighthaunt project come to fruition so quickly. 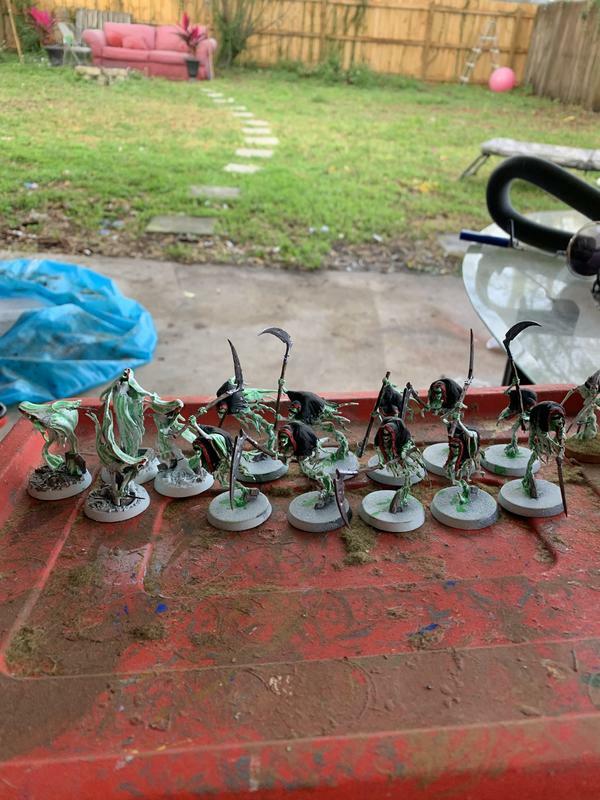 After the finishing touches and spending time on some stormcasts I think I’m going to work on finishing up my Tzeentch army. That lord of change is far overdue.